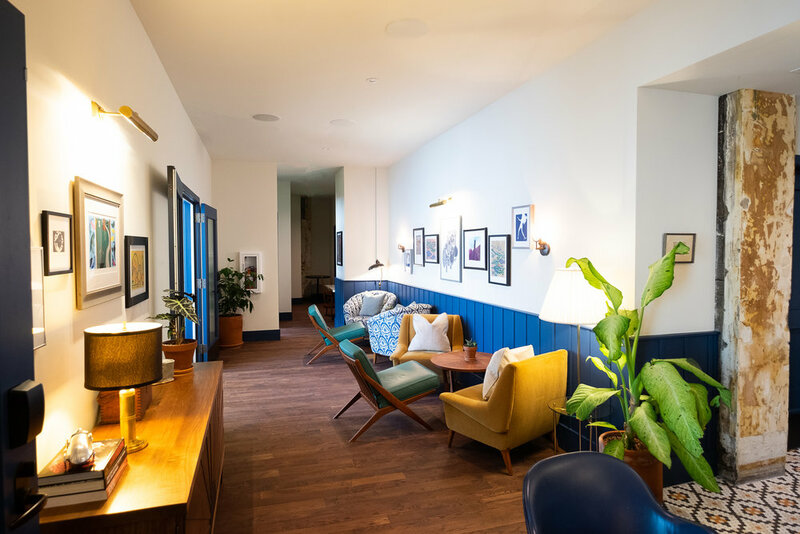 Renowned London hotelier, Ennismore, recently opened The Hoxton in Portland’s historic Chinatown. 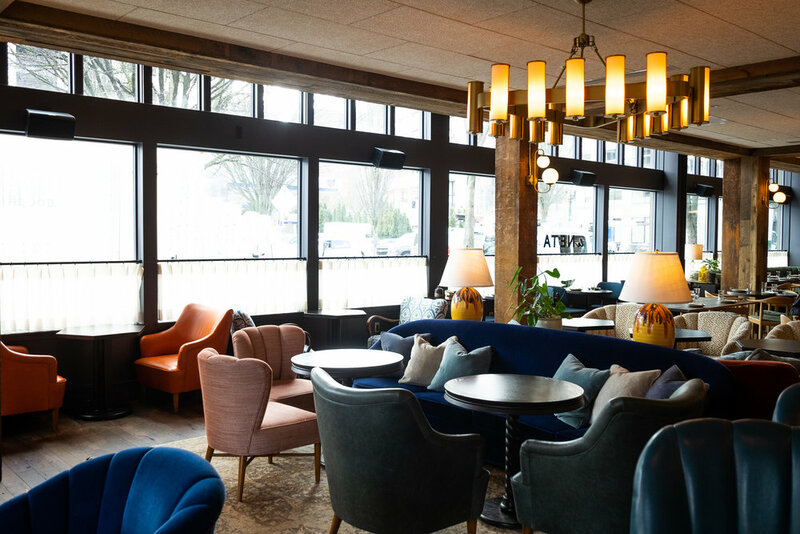 Portland-based Ohm Systems had the privilege of working with the Ennismore team, UK-based Fettle Design, local firm Surround Architecture, and general contractor Howard S. Wright on this unique project. On the ground floor, recessed ceiling speakers were custom-painted to match the unique ceiling color in the hotel lobby. Recessed subwoofers were also employed to add “warmth” during the day and extra “drive” when the party gets going later in the evening. La Neta, The Hoxton’s Mexican-inspired seasonal restaurant and bar, presented some unique architectural and acoustical challenges. Due to the original wood construction and location directly beneath guest suites, the ceiling was off-limits from an audio standpoint. Ohm Systems went to great pains to integrate compact high-performance speakers into the modernist décor. 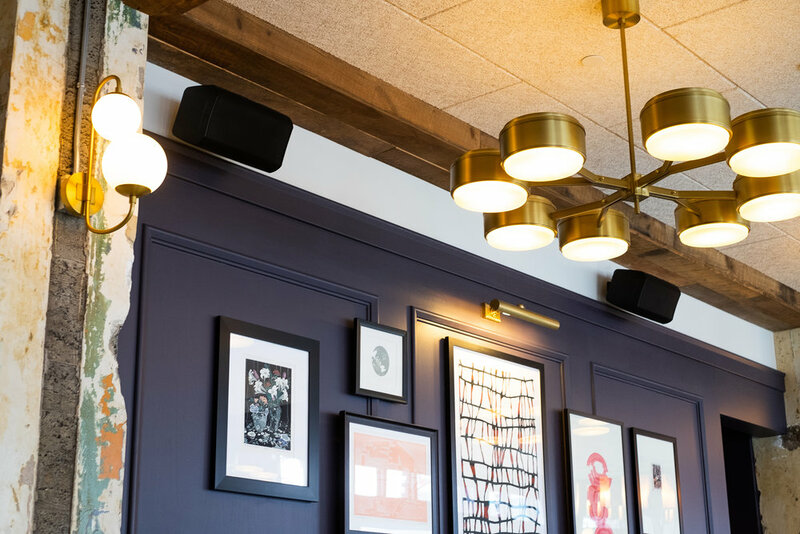 In order to provide rich, full sound, Ohm Systems designed custom in-wall subwoofers that were able to squeeze into the limited space below the exterior windows, while still providing the bass punch that the customer required. In addition to custom music content curated by London-based C-Burn Music, a Dante networked DJ input was also provided for special events. Also on the ground level, “The Apartment” is the Hoxton’s event space featuring four conference rooms, each with their own 65” video display for BYOD (“bring your own device”) meetings , and a common area dubbed “The Pantry.” As with elsewhere in the project, high-performance audio can be found throughout the space, complete with discreet in-ceiling subwoofers. All rooms feature a dedicated networked microphone/DJ input for private events of any size. The Basement Bar (aka Speakeasy) may be hard to find, and even harder to leave. High-quality audio envelops without overwhelming – a challenge in small spaces with low ceilings. Custom-painted in-wall subwoofers don’t miss a beat without being seen. A networked DJ input can be found at the bar. Finally, Tope, The Hoxton’s rooftop taqueria offers sweeping views of the city in three directions. While enjoying mezcal-centric cocktails, the audio system provides excellent coverage and warmth in this light and bright space. While all speakers and pathways are surface-mounted in this largely concrete and glass space, great efforts were made to incorporate the audio design with the room’s aesthetic. As can be found throughout The Hoxton, a networked DJ input provide connectivity for special events. Ohm Systems, LLC is a Portland, Oregon-based design-build audio/video integrator. We work closely with our clients to craft individual solutions that exceed expectations in terms of aesthetics, functionality and performance. 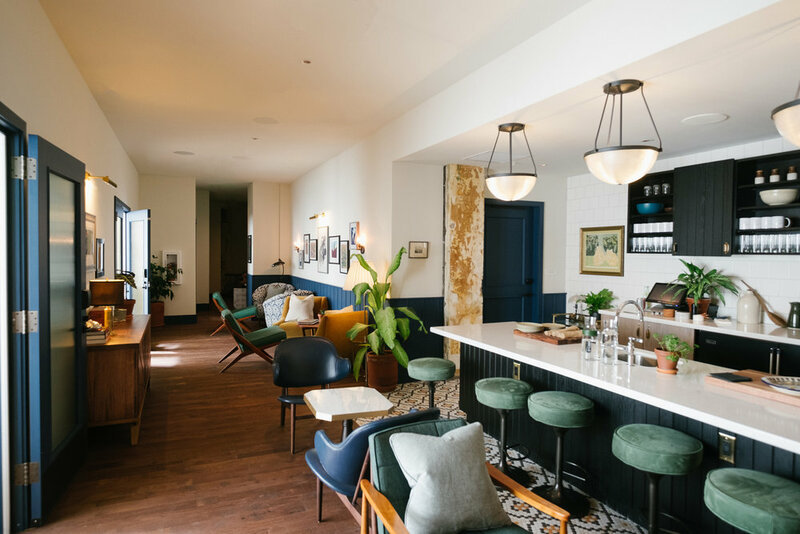 In addition to hospitality projects, Ohm Systems specializes in bars, restaurants, breweries, wineries, conference rooms, classroom & training facilities, multi-family amenities, churches & house of worship, boardrooms, video teleconferencing, fitness facilities and beyond. To work with Ohm Systems on your next project, visit www.ohmsys.com or call (503) 484-5700.